Allianz UK made an operating profit of £74.7m in the first half of 2017, down 14% on the £86.9m it made in last year’s first half. The results come as the Allianz group announced its plan to buy a controlling stake in LV=’s GI business and create a £1.7bn personal lines joint venture. The main cause of the profit drop at Allianz UK was a fall in investment returns as a result of the persistent low interest rate environment. The Allianz UK profit fell as underwriting performance held steady, with the combined operating ratio (COR) almost unchanged at 96.2% (H1 2016: 96.3%). The steady underwriting performance was thanks to personal lines, where the COR improved by 0.9 percentage points to 99% (H1 2016: 99.9%). This offset a 1.6-point deterioration in the commercial lines COR to 92.8% from 91.2%. Gross written premium was flat at £1.1bn, as growth in commercial lines offset a fall in personal lines. 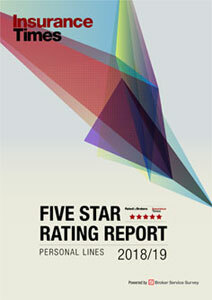 The personal lines drop was caused by the company’s decision last year to exit direct home and motor business. Commercial lines GWP was up 4% to £602m (H1 2016: £578m) while personal lines GWP fell 3% to £502.4m (H1 2016: £520.1m). 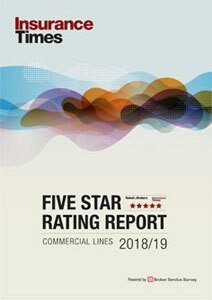 Allianz UK chief executive Jon Dye said: “The business played to its technical strengths in underwriting and claims and performed well as a result. GWP is up 0.6% over the previous year and the COR is at a strong 96.2% which means we are delivering in line with our profitable growth objective.